The linebacker position is vital to creating an effective defense at any level of competition. It is imperative that linebackers be in the proper position, be under control, and make the tackle. In this comprehensive DVD, Coach Ron Roberts presents proven techniques to developing outstanding linebackers. Among the topics covered are: footwork, block pro, tracks, pass, the 9 technique and tackling. The skills and drills address the key factors involved in sound linebacker play. Each drill is explained and demonstrated in detail. 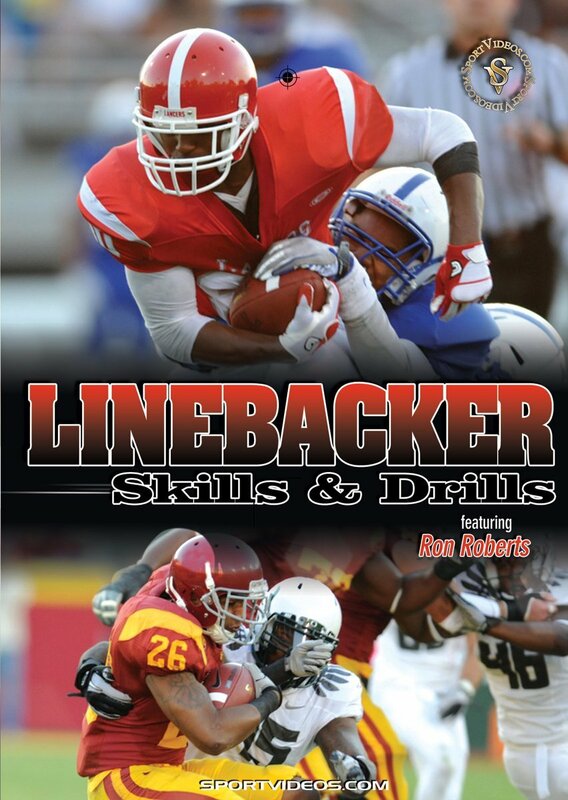 This DVD will help coaches at all levels teach linebackers the skills needed to achieve success. About the Coach: Ron Roberts has been playing and coaching football for over 30 years. He was a two-time All-Conference selection as linebacker at the College of Sequoias in Visalia, California. Roberts has coached at the high school level and at several colleges including Greensboro College, Tusculum College, Texas State and Delta State University. Ron Roberts was named head coach of Southeastern Louisiana University on December 19, 2011.